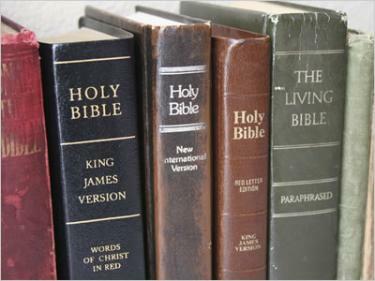 There has been much talk in recent years about the different bible versions. Many people have asked what version they should read. I hope to shine some light on this subject and hope you choose the version that best suits you. Many people are gun ho on the King James Version and there is nothing wrong with that. I like the KJV, but I am not a KJV only person by any means. It is one thing to prefer the KJV but to say it is the only version to read, I believe, is a bit out there. Here is a little history on the Authorized King James Version Bible. James I (James the First) came to the throne of England in March 1603. At this time the established church was very badly divided. There were Conformists, who were satisfied with things as they were, and were willing to conform to existing usages; and there were Puritans, who wanted a better state of things, and were determined to have it. Both parties appealed to the king, and the Puritans had great hopes that he would favor their side. In October King James called for a conference in the Hampton Court Palace that took place in January 1604, “for hearing and for the determining things pretended to be amiss in the Church.” So far as the objects chiefly sought were concerned, this Conference was a failure, but there began the movement for the version of the English Bible, now so widely accepted. The leading divines, lawyers and laymen of the Church of England were all present. Among them was Dr. John Reynolds, President of Corpus Christi College, Oxford. On the second day of the conference, Dr. Reynolds suggested to the king, that a new version was desirable, because of the many errors in the version then in use. That suggestion led to the action the writing of the Authorized King James’ version. The Churchly party resisted the movement for a time, because they suspected some Puritan mischief to be behind it. On the other hand, the Puritan party pressed immediate action; and the king managed affairs as to please both sides, and finally managed their cooperation. He very much favored the proposition of the Puritans, but at the same time he pronounced the Genevan version to be the worst of all in the English language, and thereby pleased the Conformist party. The ordinary Bible read in the Church, commonly called the Bishops’ Bible, to be followed, and as little altered as the original will permit. Letters to be sent from every bishop to the rest of his clergy, admonishing them of this translation in hand, and to move and charge as many as, being skillful in the tongues, have taken pains in that kind, to send their particular observations to the company, either at Westminster, Cambridge, or Oxford, according as it was directed before in the king’s letter to the archbishop. The directors in each company to be the Deans of Westminster and Chester, for Westminster, and the king’s professors in Hebrew and Greek in the two universities. The first English language version of the full Bible was John Wycliffe‘s translation of the Vulgate in 1384. 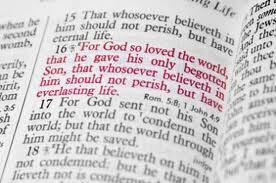 Several other English versions followed, and the beloved King James version was published in 1611. The King James Version, itself, has been updated several times: in 1629, 1638, 1762, and 1769. The team of 47 scholars who translated the KJV version did an excellent job. However, the English language has changed a lot in the nearly 400 years since it was published. Many KJV words and phrases, such as Lord of hosts, sabaoth, emerods and concupiscence, would not be meaningful to most people today. Worse, many other KJV words, such as charity, trespass, profit, cousin, and remission, have different primary meanings today than they did in 1611 and could mislead the reader. 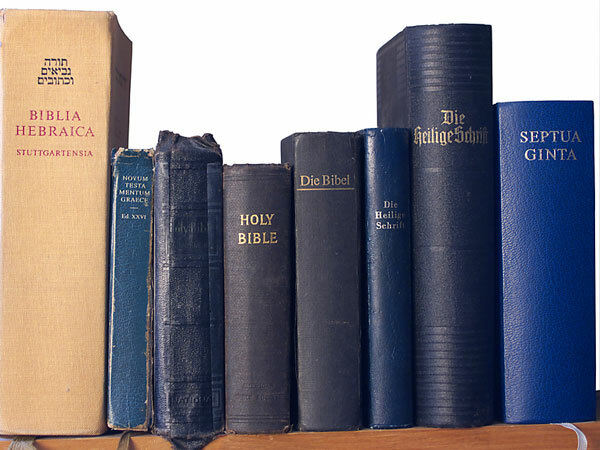 As a result, many English-speaking people find the KJV is quite difficult to read and understand. Some people believe the KJV is the most accurate or only authentic version of the Bible. Some believe the Hebrew and Greek manuscripts the KJV translators worked from were faithfully preserved by God or are the most accurate for some other reason. Others say the translators of all later versions were biased or incompetent in one way or another. Still others say the KJV is a literal and accurate translation while later versions were rewritten to suit the biases of the publishers. However, the vast majority of Bible scholars and Christians reject all these objections as being based on faulty facts and reasoning, and they do not consider the KJV to be more accurate or more sacred than other translations. Recent developments in archaeology and Biblical scholarship have made possible a number of modern, more accurate English translations of the scriptures. These newer versions are translated from the best available ancient Hebrew and Greek manuscripts, rather than from the King James Version or the Latin Vulgate. Although the newer translations are believed to be more accurate than the KJV, the differences are minor. No significant changes of belief or interpretation would result from the many minor corrections. The main advantage of the modern translations is that they are written in modern English so the reader will not be mystified or misled by the archaic English of the KJV. The mainstream modern Bible versions have been translated by teams of devout Bible scholars who have prayerfully done their very best to convey the true meaning of the ancient Hebrew and Greek manuscripts to the modern reader. These modern translations have been adopted by many churches, both Protestant and Catholic, for use in worship. Some of these extra verses were added to certain manuscript copies as margin notes or as prayers for use in public worship. Those manuscripts were then copied and recopied without making it clear that the extra verses were later additions. The most famous example is the doxology, “For thine is the kingdom, and the power, and the glory, forever. Amen.” that the KJV adds to the Lord’s Prayer in Matthew 6:13. That phrase is not found is any of the oldest manuscripts of Matthew. It is also traditional in English to use masculine gender as a generic form to include both sexes. So, Romans 3:28 has traditionally been translated into English as “a man is justified by faith.” However, the original Greek word, anthropos, means “human being” and applies equally to both sexes. 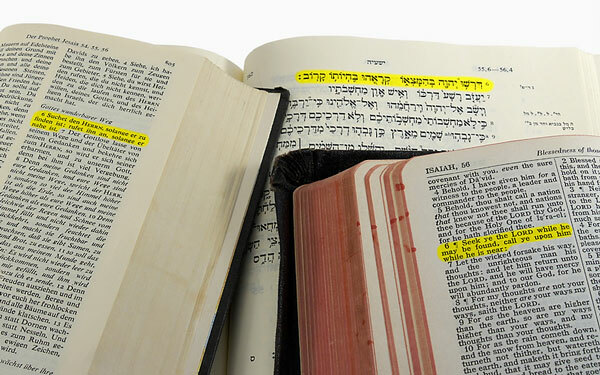 So, the NRSV and TNIV have translated this verse as “a person is justified by faith” to accurately reflect the inclusive nature of the original Greek word. Publishers of gender-inclusive Bibles are quick to point out that these are not “politically correct” or “feminist” Bibles. They have used gender-inclusive language only where it would have been understood that way in the original Hebrew and Greek languages. 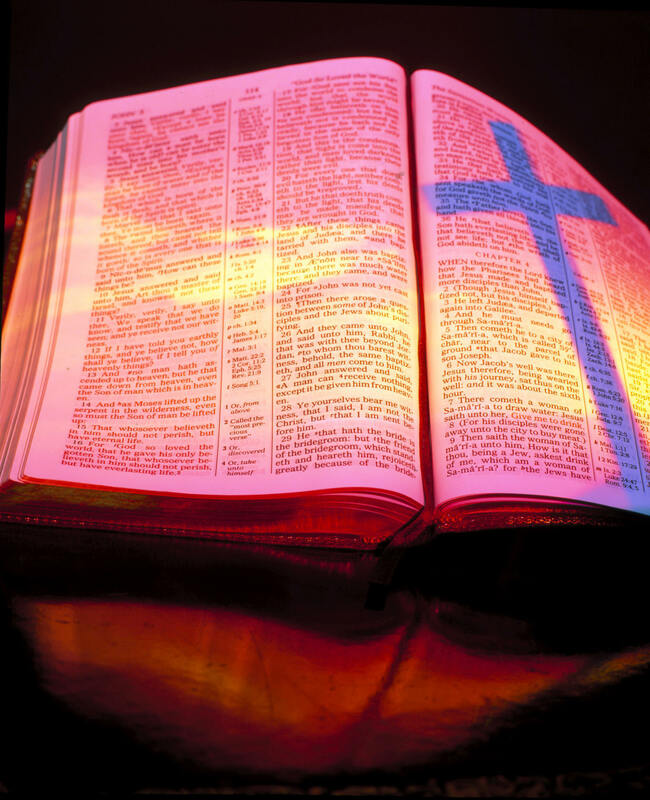 Amplified Bible (AB) – first published in 1958, it is the fruit of tens of thousands of hours of research by Dr. Frances Siewert. 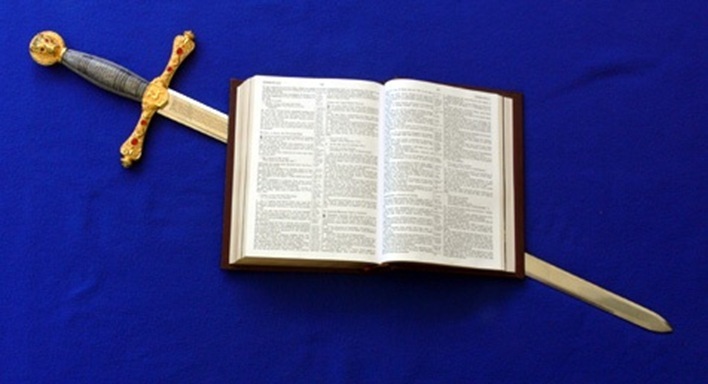 Beginning with the very literal American Standard Bible, she adds additional words in brackets that help provide the understanding of the meaning of the original language. This has become a very popular “second Bible” for Bible study. It is published by Zondervan. Good News Bible (Today’s English Version) (TEV), completed in 1976, was translated by Robert G. Bratcher with six other scholars. This very free, though very accurate, translation avoids the use of traditional biblical vocabulary and communicates especially well with youth and the un-churched. Also, published by the American Bible Society. New American Standard Bible (NASB) – completed in 1971, was produced by 54 conservative Protestant scholars sponsored by the Lockman Foundation. This version is very literal in vocabulary and word order, although the resulting English is quite wooden. It often is preferred by those who want an English version that reflects the grammar of the original. An Update was published in 1995 which seeks to use more modern English while preserving the literal nature of the translation. New International Version (NIV), completed in 1978, was the product of 115 evangelical scholars. Within a decade it became the best-selling English version, a position it still holds! It combines contemporary, literary English with traditional biblical vocabulary. 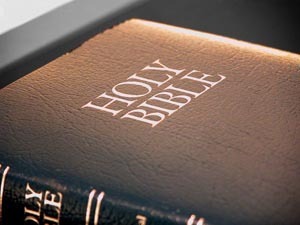 The NIV is copyrighted by the Biblica (formerly International Bible Society). NOTE: A major revision of the NIV was released in early 2011. While it only changes about 5% of the text of the last edition (1984), the changes are significant, and it almost reads like a new translation. This new revision also includes “gender-neutral” language when referring to people, similar to the NRSV (below). New Living Translation (NLT), published in 1996, is the product of 90 Bible scholars from around the world, from various theological backgrounds and denominations. This is a very readable translation, while remaining more faithful to the original texts than the Living Bible (see above). Also, published by Tyndale. An update was published in 2004. Revised English Bible (REB), completed in 1989, is a thorough revision of the New English Bible. Like the original, it was translated by a committee of British scholars, representing all the major Christian traditions in the United Kingdom. The more archaic language was omitted and a more conservative approach was taken toward some of the difficult passages. Many readers find it to be an excellent translation for personal reading and study, though its British idioms make it less popular in the U.S. The REV is published by the publishing houses of both Cambridge and Oxford Universities. I hope this brings some insight into the different versions of the bible. You should pray and ask God which version you should read. I personally use the New King James Version for study but I cross-reference many different versions. I should note that early on I said “Arrangements for this version were completed by the appointment of fifty-four well-educated men” then later on I say ” The team of 47 scholars who translated the KJV version did an excellent job.” This is not a contradiction, there were 54 men appointed but only 47 actually participated. I didn’t want anyone to say that I didn’t have my facts straight or that I was contradicting myself. If there is any King James version only people that completely disagree that’s fine you can. Another good website to check out is http://www.evangelicaloutreach.org/kjvo.htm. It points out a few things. Please note that I’m not bashing the KJV. I like the KJV but I don’t believe its the only version to read and study. I would caution everyone to be aware of whether you are reading a Translation (from the original text) or a translitration (translating a translation aka a paraphrase or explanation) Not that i have aproblem with translierations but you need to understand that there is ALOT of stuff in them that is not the actual original text in order to “explain” it to you, I find the Holy Spirit does a pretty good job of this on its own. I agree Daniel. I don’t have a problem with them but I cross reference them and if I’m still not sure then I look it up in the original Hebrew or Greek Texts. I like to check in insure accuracy and if I get a question from someone I want to give a credible answer.